The screening was to be a part of a UGC-funded seminar on Kashmir in the college, to which several others had also been invited. Thanks to the ABVP, the entire seminar has been cancelled. There are many reasons offered for this dismal outcome – and all of them are spurious. One such reason is the absence of a censor certificate. However, Section 10 of the Cinematograph Act allows for exemptions to be given for screening without a censor certificate, and a 1956-57 report ‘on the progress of audio-visual education’ (available on the HRD Ministry website) mentions that several states including Bombay (now called Maharashtra, where Pune is located) have used the clause to exempt educational institutions. 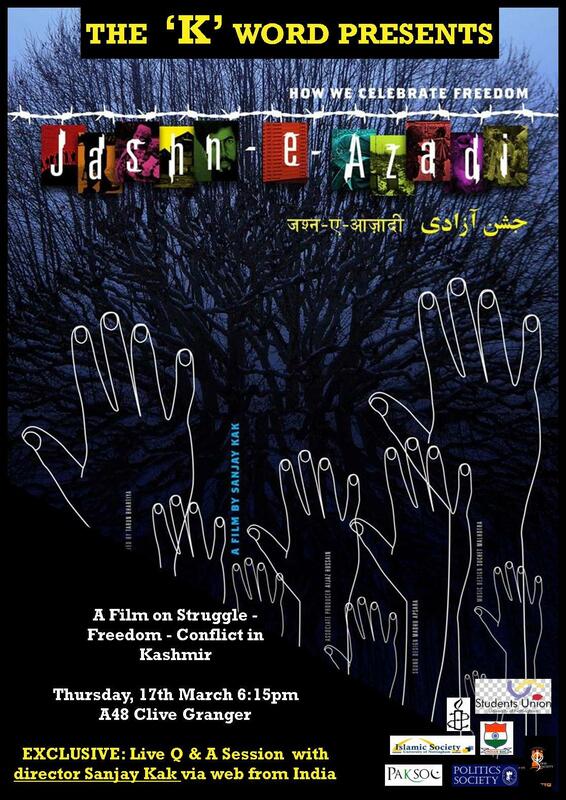 In short, Symbiosis would break no law by screening Jashn-e-Azadi. This isn’t about whether or not the film has a censor certificate, whether or not it needs one or should have one. This is about Kashmir and the attempt by the rightwing to silence all discussion on Kashmir. The ABVP claims both the film and the seminar encourages “separatism.” In other words, they decide what is anti-national and what is not, and their opinions have now become – by default – the law of the land. Anything that is “controversial” to the Hindu or Muslim right inevitably creates a “law and order” problem and hence has to be shut down. Reblogged this on Global Freedom Movement.